Page 2 – A new comic strip about a library. 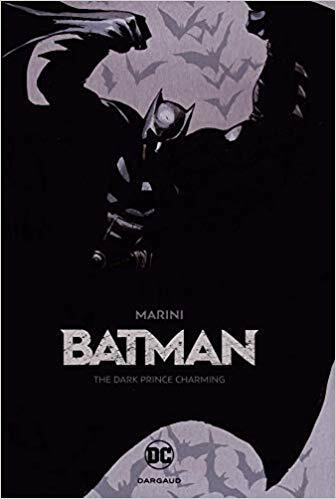 Batman: The Dark Prince Charming by Marini. DC Comics, 2018. 9781401283322. 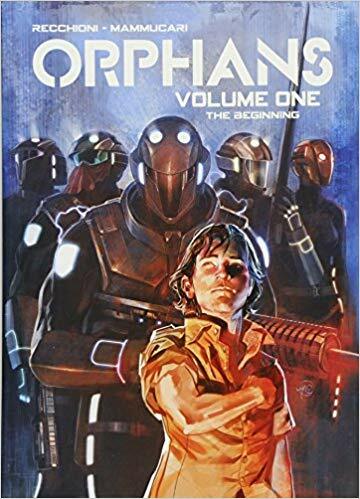 144pp oversized hardcover, includes several pages of sketches. 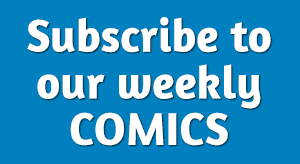 Contains #1 – #2 of the series. 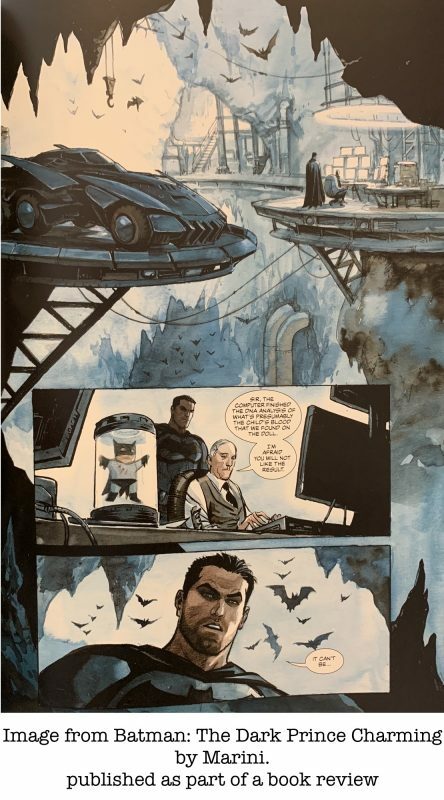 The artistry of Italian comics artist Enrico Marini (The Scorpion) makes this hand-painted Batman story worth reading: the Joker’s hair glows, his smile is totally creepy, and Batman looks terrifying. 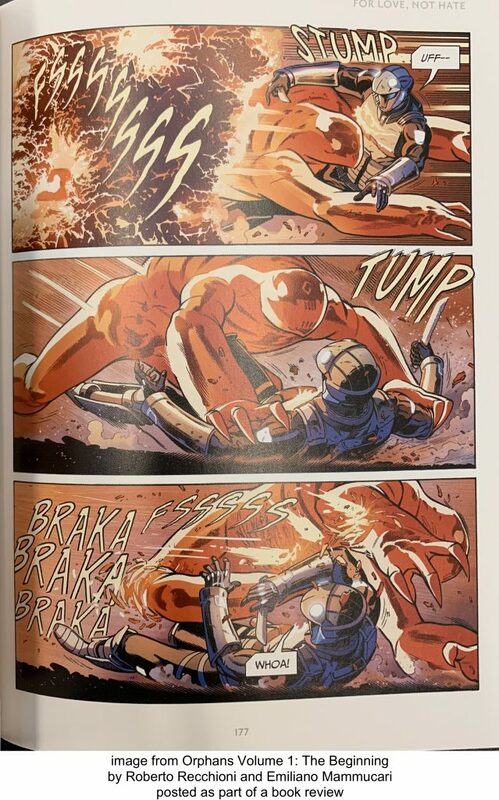 The fight scenes are as kinetic as the Joker is psychotic, which is saying something here. 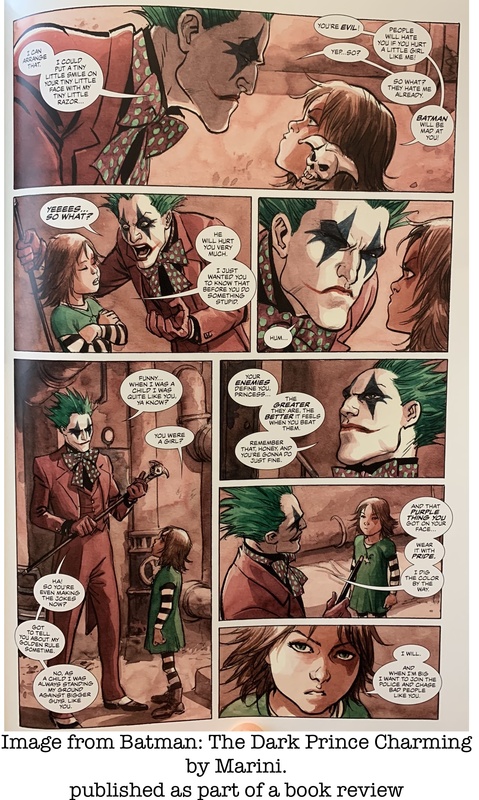 The plot points: the Joker is trying to acquire the perfect present for Harley Quinn’s birthday, Catwoman is stealing high-end jewelry, and a paternity suit has been filed against Bruce Wayne. It has all the usual murder and mayhem you’d expect plus a hilariously deadpan henchman and an amazing drag scene. 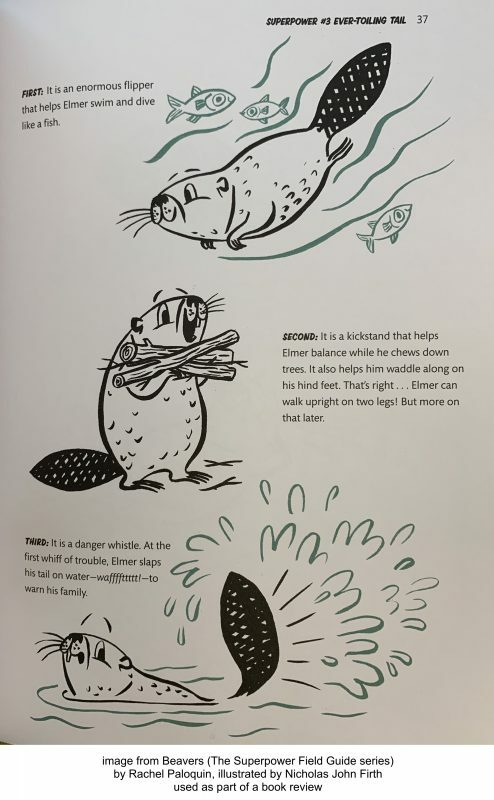 Beavers (The Superpower Field Guide series) by Rachel Paloquin, illustrated by Nicholas John Firth. 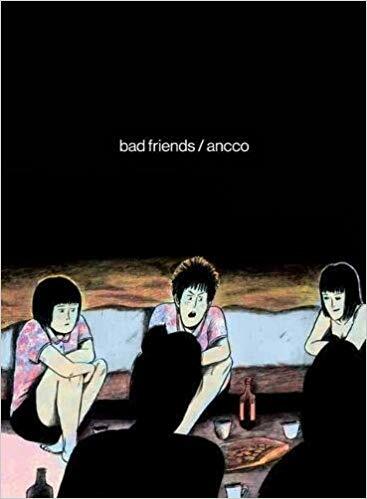 Houghton Mifflin Harcourt, 2018. 9780544949874. 96pp including a glossary and a list of books for further reading. 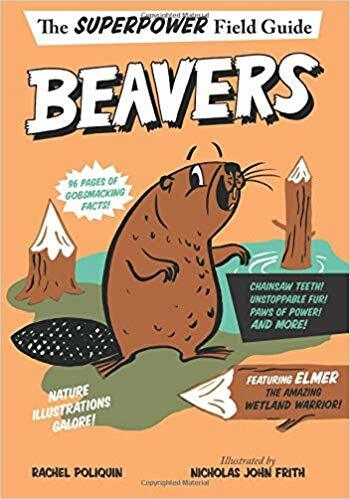 Paloquin and Firth are determined to convince young readers that beavers are amazing (they convinced me), from how these rodents chew down trees (Superpower #1: Chainsaw Teeth) to their Unstoppable Fur (power #2, which is why beaver felt hats are so popular) to how they build their dams and survive the winter and etc. There are many details in this tidy package, all arranged in a format that’s a lot of fun and easy to follow. 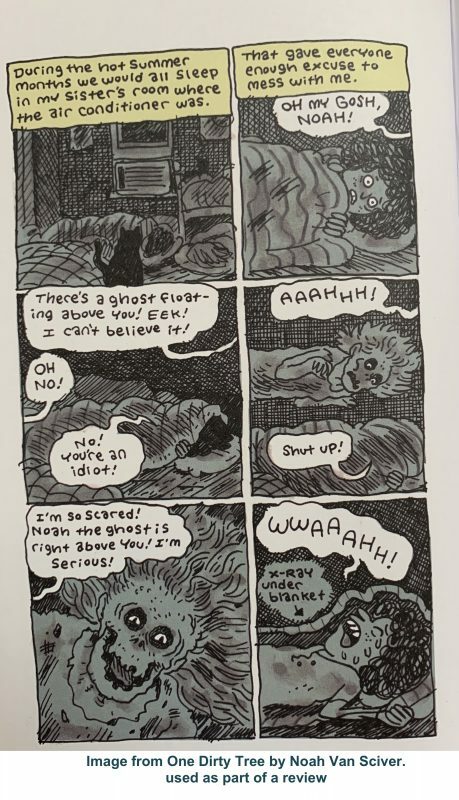 The art is entirely enjoyable, and the entire tone of the book makes this a worthy next step up, reading level-wise, from Elise Gravel’s Disgusting Critters series. 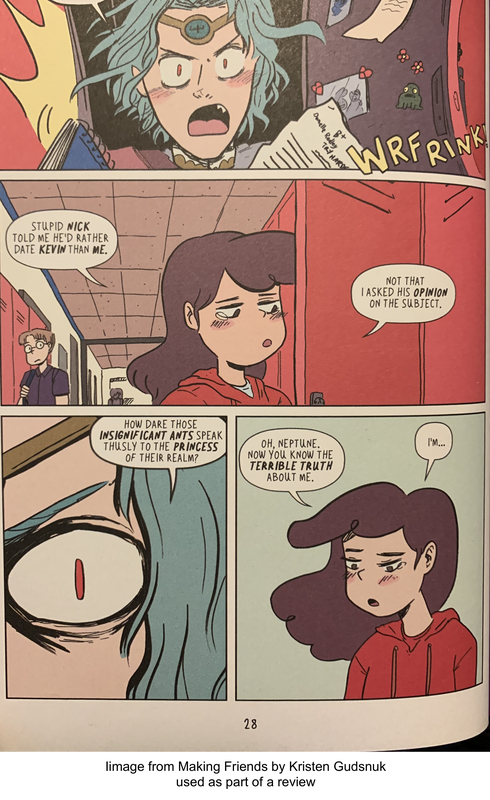 There’s even a bit of gross content (specifically Superpower #8: Turbocharged Superstink, plus an aside on why beavers eat their poop). 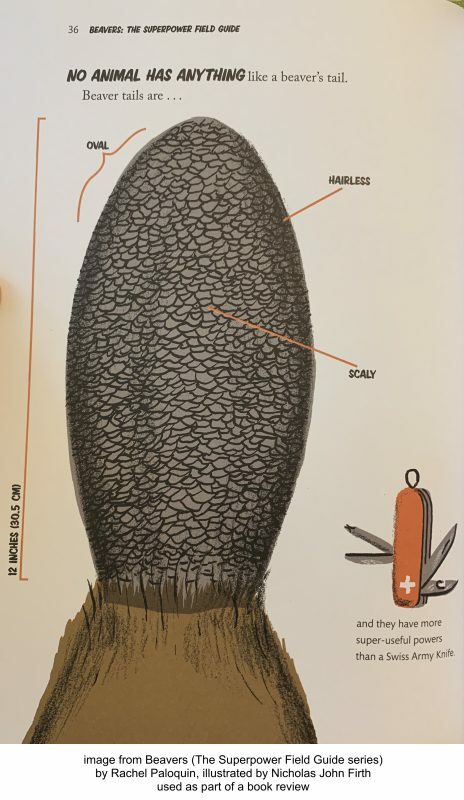 Plus there’s this, from the colophon: “The illustrations in this book were produced using a mixture of black ink, pencil, and wax crayon on paper, in a technique known as preseparation. For printing purposes here, the artwork was colored digitally.” I love knowing how illustrations are made! 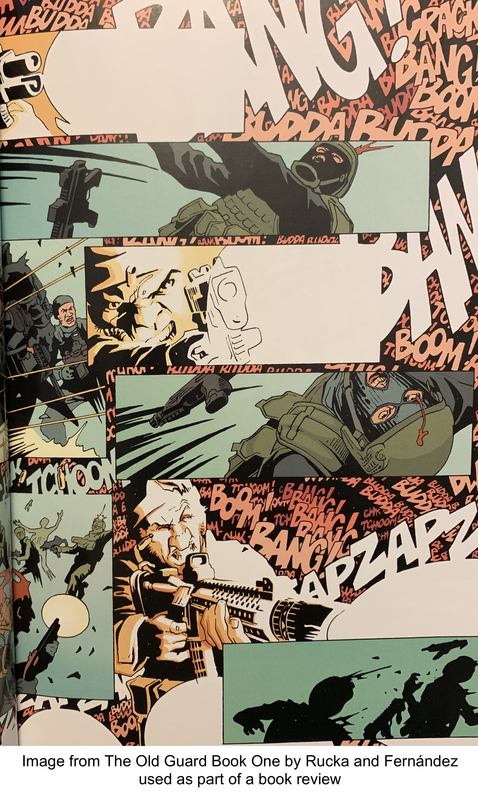 The Black Monday Murders Volume 2 by Jonathan Hickman (words), Tomm Coker (art). Image, 2018. 9781534303720. Contains #5 – #8 of the series. 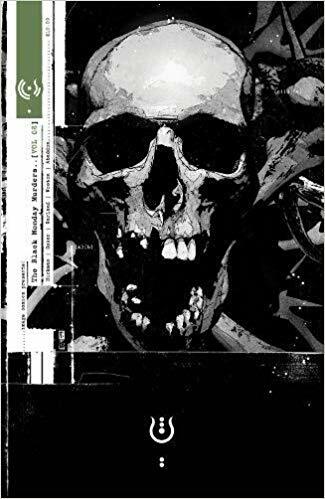 Jonathan Hickman’s comics are always masterpieces of pacing and planning. They’re worth reading for the blank pages alone, just to see how he uses them to break up the story. This series about dark, demon-worshiping capitalists who use black magic to manipulate the world economy is full of redacted documents and unsettling imagery, including a specialized font used to show that characters are speaking words of power. 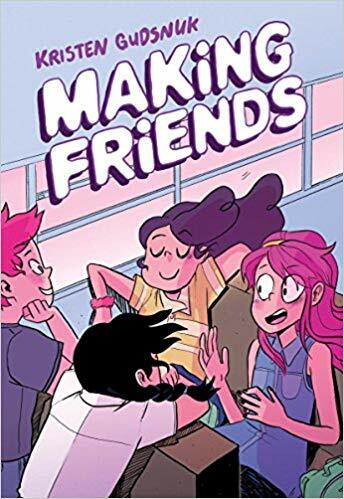 In this second volume, the detective solves the mystery, an economist gets the interview of a lifetime, and an eternal magic battle takes place in the blink of the eye. 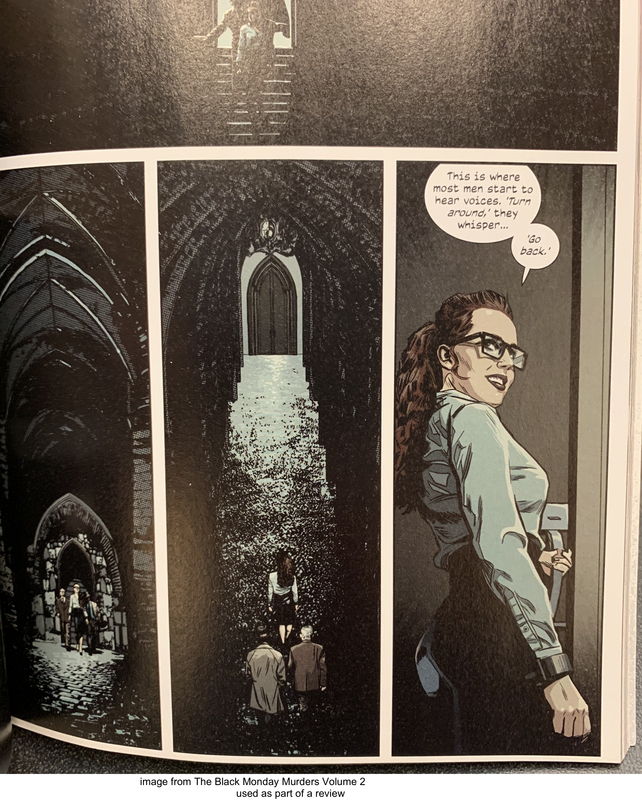 If you don’t like horror graphic novels this is not the book for you, but then you probably knew that from the skull on the cover. 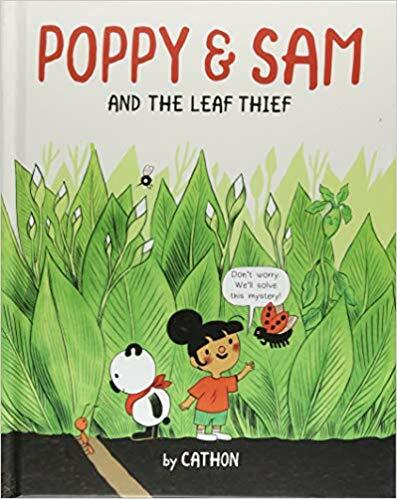 Poppy & Sam And The Leaf Thief by Cathon. 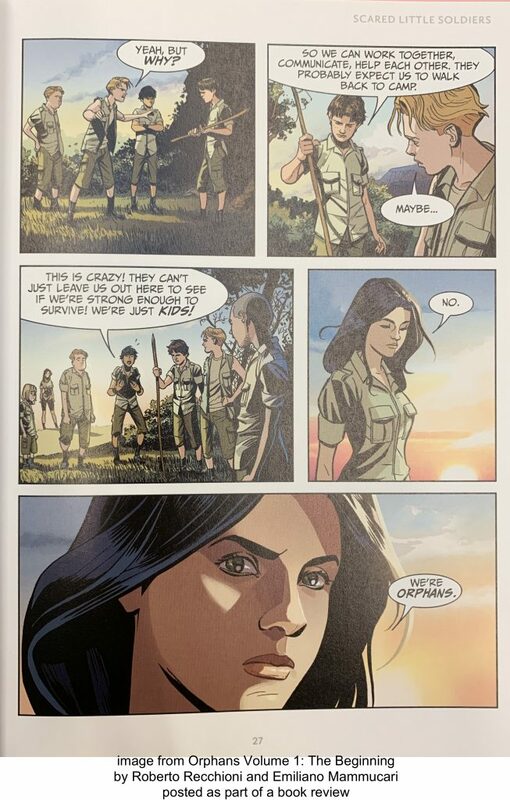 Owlkids Books, 2018. 9781771473293. 48pp. 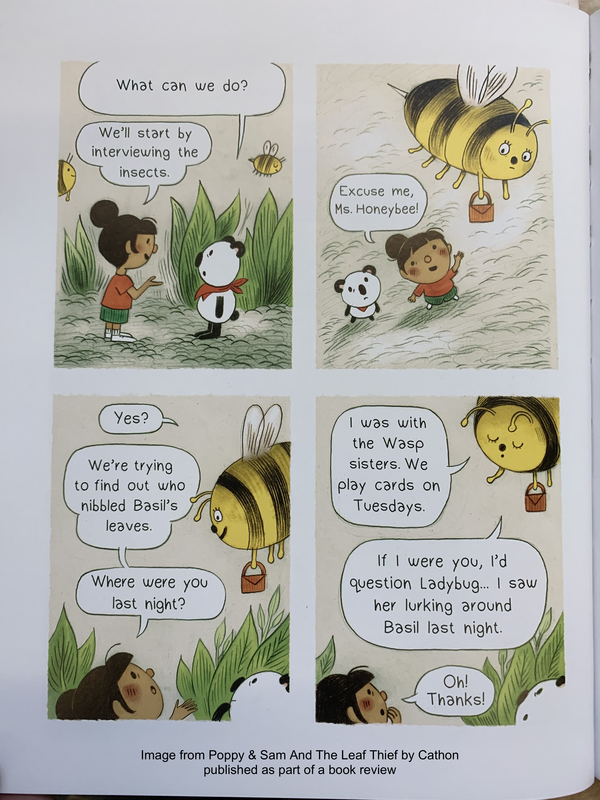 Poppy is a tiny girl who lives in a pumpkin in a garden, and she loves to hang out with her friend Sam, a tiny panda. When they’re out tending plants, Poppy hears some crying — it’s Basil (a plant of course). Someone has taken a bit of their leaf while they were sleeping! 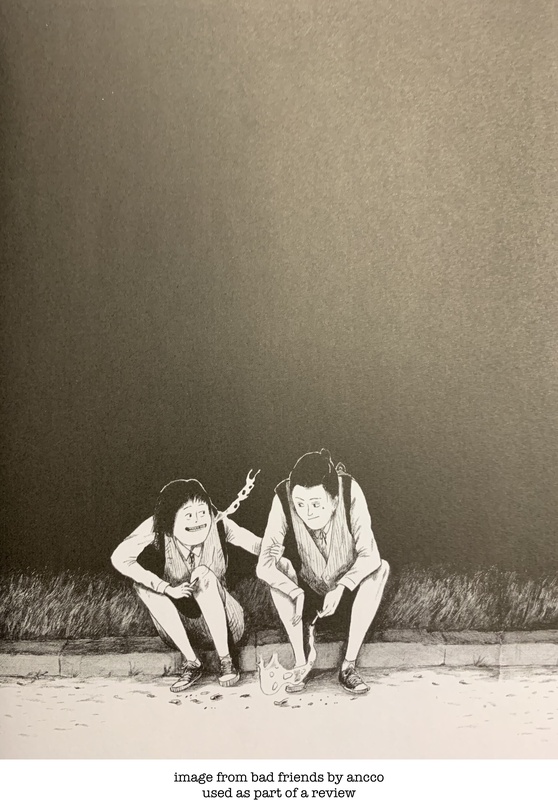 Poppy and Sam try to figure out who did it and they start by interviewing the insects. Cathon has created an innocent, lighthearted world of cooperation and smiles. 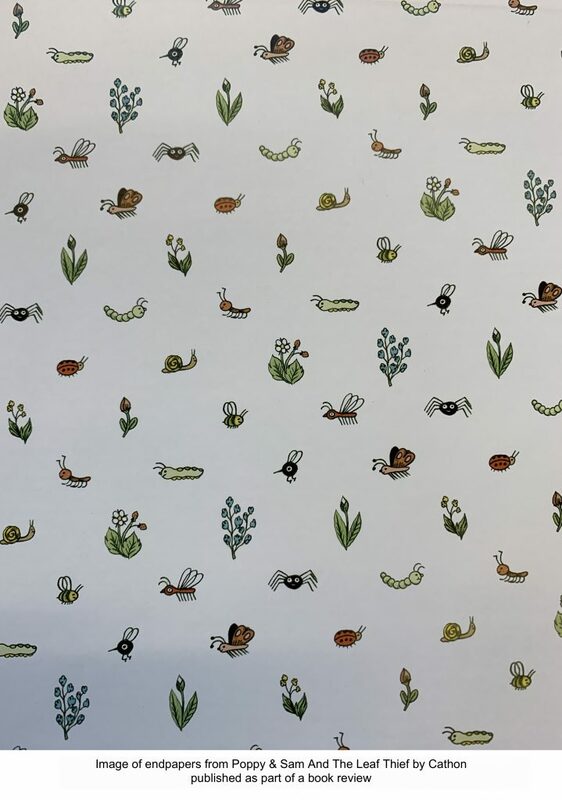 Even the endpapers, with their bugs and snails and plants, are delightful. 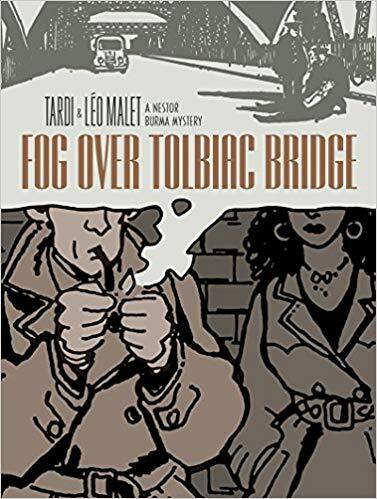 Fog Over Tolbiac Bridge (A Nestor Burma Mystery) by Léo Malet and Jacques Tardi. 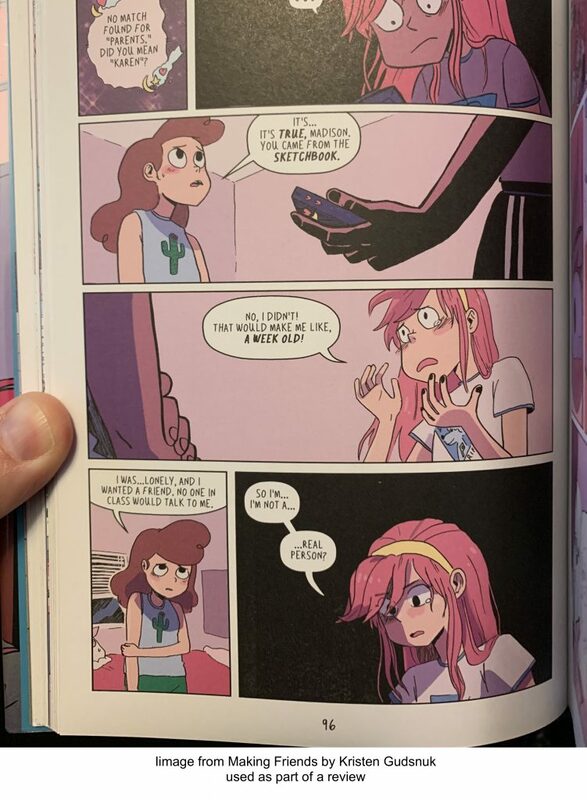 Translator: Kim Thompson. 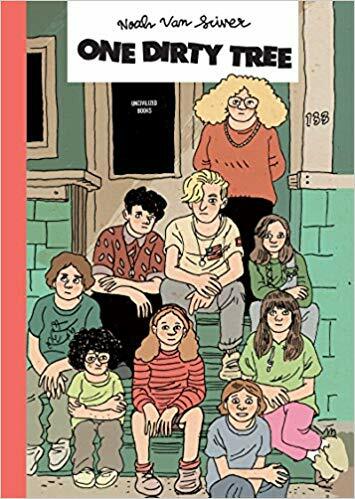 Fantagraphics, 2017. 9781606997055. Detective Nestor Burma receives a letter from Abel Benoit, a man in a hospital who claims to know him. On the way to see him, he’s met by a striking woman, Bélita Morales, who tells him not to bother, that Benoit is dead. 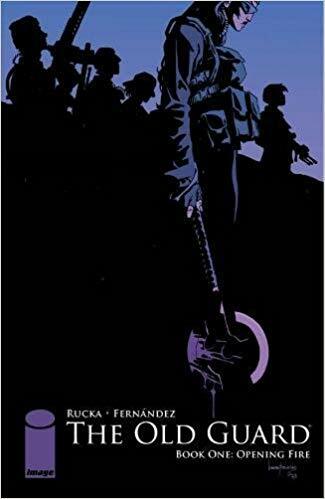 At the hospital, Burma is interrogated by a police inspector about his connection to the deceased man — it turns they were anarchist together decades earlier, when Benoit used another name. 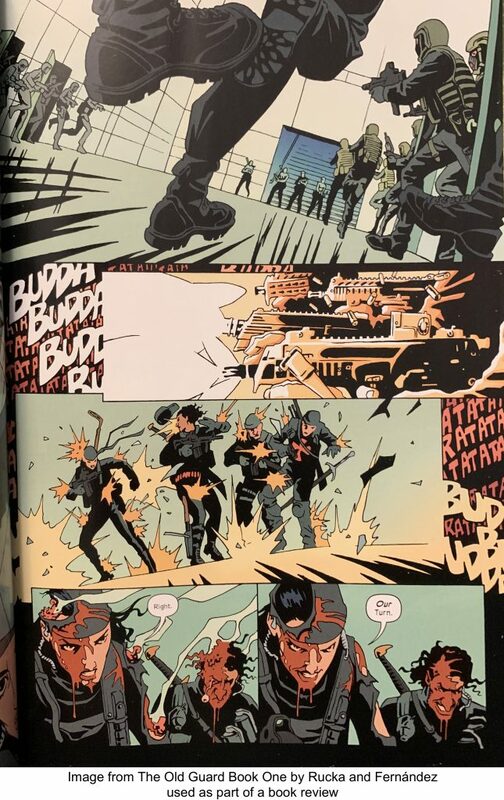 Burma sets out to figure out why Benoit was killed, and by whom. He spends a bit more time with Bélita, and a lot wandering the shadowy streets of the XIIIth arrondissement. 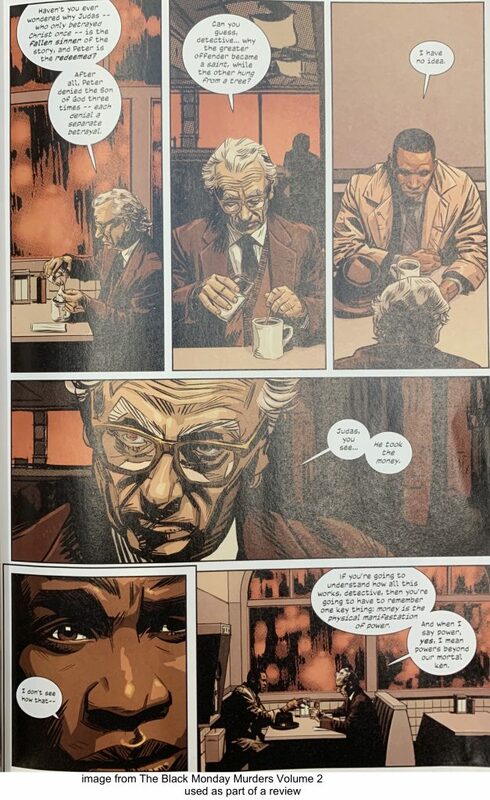 By the end he’ll have figured out who the man is with madness in his eyes, who was pacing on Tolbiac Bridge (an image that haunts the early pages of the story, and figures in its conclusion). 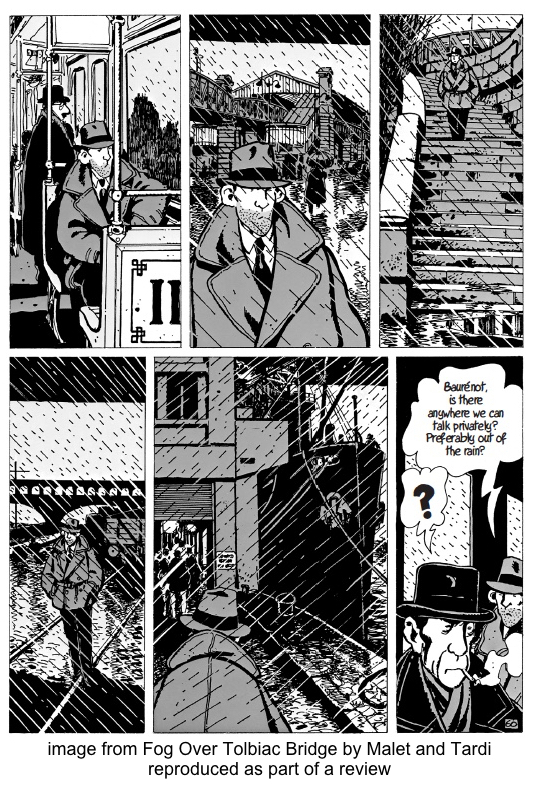 Tardi’s adaptation of this hardboiled detective story by Leo Malet, set in Paris’ XIIIth arrondissement, is a great mystery and gives a great sense of the locale. 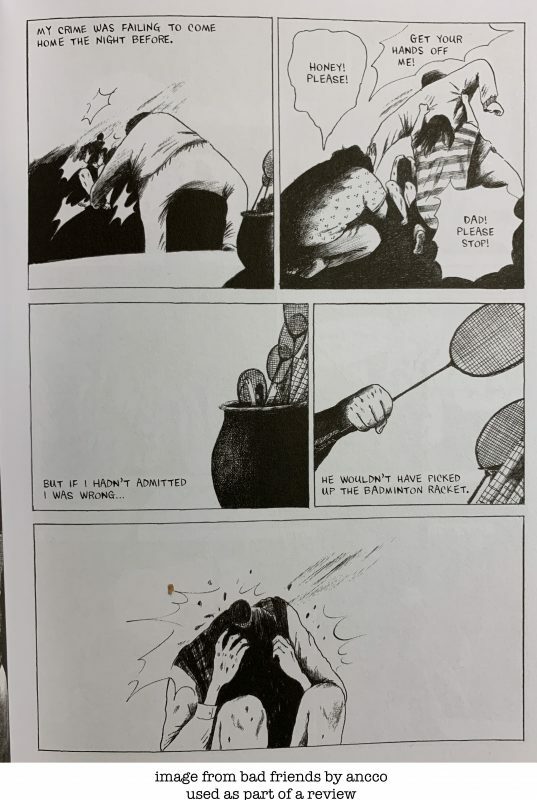 I’ve enjoyed Tardi’s adaptations of noir mysteries by Jean-Patrick Manchette, and this pulled me in in the same way as my favorite of those, Like A Sniper Lining Up His Shot. 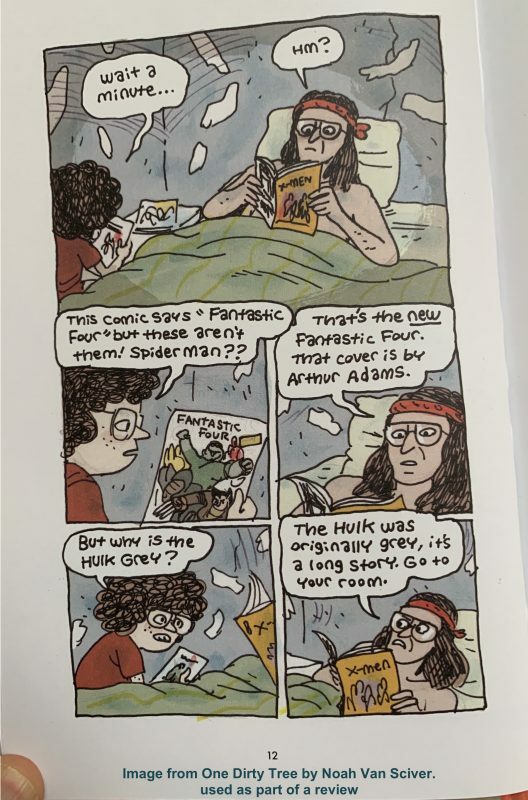 Or maybe this was just easy to identify with since it’s been wet and cold in Seattle, and it always seemed to be raining in Tardi and Malet’s XIIIth.